NAVAL STATION NORFOLK, Va. — The Navy is eyeing ways to balance its training, maintaining and operating needs amid high global demand for naval forces, the commander of U.S. Fleet Forces Command told surface community leaders last week following the release of the Comprehensive Review of Recent Surface Force Incidents. And for times when that balance cannot be achieved, the service hopes to use data analytics to predict when the fleet might be in danger of committing another major mishap, getting ahead of readiness problems instead of just responding afterward. Adm. Phil Davidson, speaking to Naval Surface Force Atlantic staff and Norfolk waterfront commanders in a Nov. 6 All Hands Call, said the Navy – and particularly its Forward Deployed Naval Forces operating out of Japan – finds itself facing a “rise in operational demand, maintenance availabilities going long, and training getting squeezed in the middle.” With sailors seeing more time between dedicated training opportunities, they may lose some good habits and fundamentals that are drilled into them during basic training events. 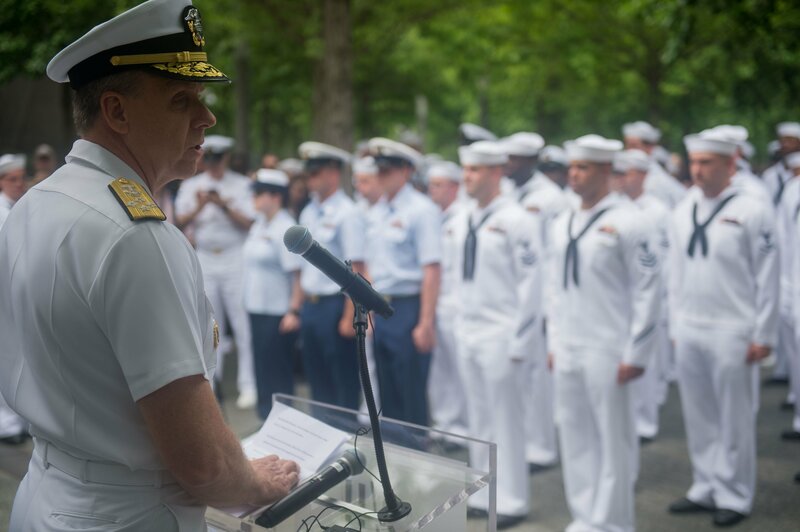 Davidson made clear there will never be a perfect balance of maintenance, training events and deployments, but he said the Navy must try to do better. 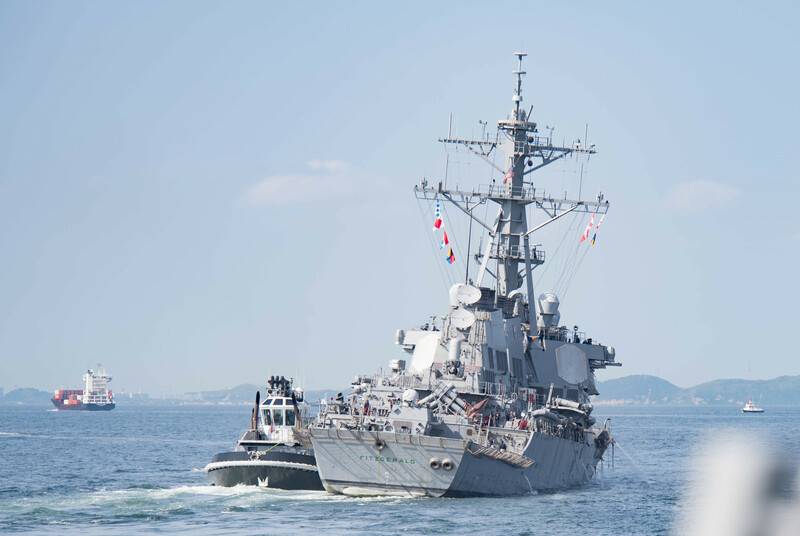 The talk came as the surface Navy weighs its path forward after the preventable collisions of guided-missile destroyers USS Fitzgerald (DDG-62) and USS John S. McCain (DDG-56) that cost the lives of 17 sailors. “The world gets a vote: hurricane season comes, it disrupts your maintenance,” he said. While noting the importance of inspections, certifications, assessments and visits (ICAVS), Davidson said there are currently 238 different ICAV events that can take time out of a ship’s training schedule, and he said those that are not useful ought to be cut, and those that are kept on the schedule need to ensure they send useful feedback to the ship crews. “I don’t really see an environment where all the training is inviolate; it can’t be protected all the time. The surface force is part of the fleet, and that’s how we’re organized going forward,” he said during a question and answer session, in reference to the time taken from basic training to support qualifying aviators, training with submarines, supporting teaching and testing activities and more. Speaking to USNI News later in the day after his All Hands Call, Davidson said the supply/demand relationship between the Navy and the combatant commanders would have to change going forward – something that is being examined in a second Navy review following this year’s string of surface navy collisions, this one led by the secretary of the Navy. The Navy in 2014 moved to the Optimized Fleet Response Plan as a force generation model for U.S.-based carrier strike group ships. 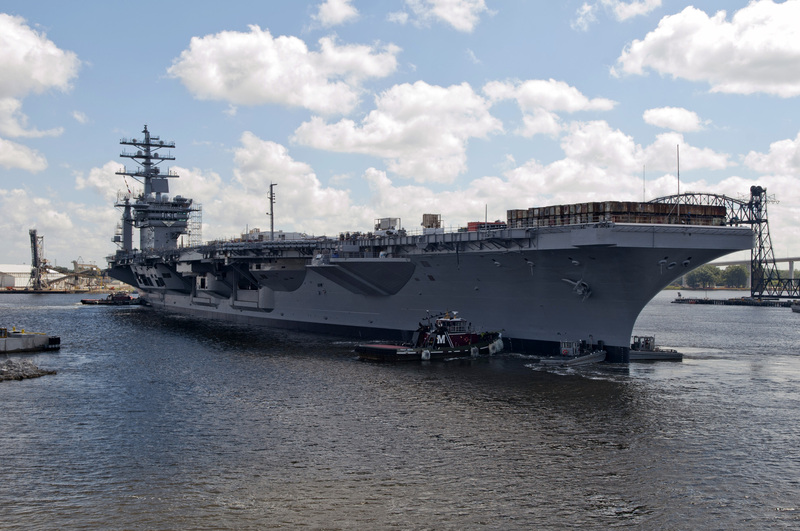 Separate models were supposed to be drawn up for amphibious ships and for forward-deployed forces, but Davidson acknowledged the challenge U.S. 7th Fleet in particular had with this task. “All the fleets did that. 6th Fleet had an advantage because they got to go from zero, because they were just getting the ships; invent the process, invent it specifically for that combatant command. 5th Fleet did theirs a little bit – there’s two cycles, you’ve got the 24-month cycle running on the PCs (patrol coastal ships) and the 36-month cycle running on the MCMs (mine countermeasures ships),” Davidson said. “7th Fleet affirmed their patrol cycle from back in the day,” rather than draw up a new force generation model, the admiral continued. For example, he said, the submarine community can see that if a particular hull had a reduced training period and then received certain grades in its pre-deployment training activities, it might be at a higher risk of a certain type of mishap. The surface community hopes to emulate that predictive analytics system for its own fleet, tracking smaller mishaps in a new near-miss database and combining that information with other records and scores to look for potential readiness problems before they occur. Davidson said the Naval Safety Center, type commanders and fleet headquarters would be hiring additional data analysts to help understand at the ship level, the numbered fleet level and the Navy level what risks ships are facing and how that risk may be reduced. To support this predictive analytics vision, Naval Surface Force Atlantic (SURFLANT) stood up a near-miss database in March, with Naval Surface Force Pacific following shortly after. Capt. Hung Le, director of the Commander’s Action Group at SURFLANT, told USNI News in a Nov.6 interview at the SURFLANT office that ship commanders within SURFLANT’s command are encouraged to and in some cases ordered to submit a self-critiquing report following a near-miss incident, a significant event such as loss of propulsion or electrical power, or a Class B or C mishap. “Really the intent of the near-miss reporting process is for us to learn as a surface force from other people’s mistakes,” Le said. Much like the submarine community’s self-critique process, commanding officers submit reports to Le’s office for review and dissemination – a redacted version of the report, without ship or personnel names included, is available on the SURFLANT SharePoint and are sent periodically by email, with a quarterly report also sent out to highlight any trends. The quarterly reports also seek to tie the incidents to the six watchstanding principles, and reminds COs about the importance of risk management and the planning, briefing, executing and debriefing (PBED) process. “The ships say that it’s a useful process for them to go through and identify what went wrong and to ask the deeper questions of why, why did this happen,” Le said. He noted that nearly all the reports submitted so far have been attributed to “personnel” as an apparent cause, rather than the design of the system, a material failure or a flawed procedure. “In just about every single one, it’s personnel. People make errors. There’s only been a couple that I’ve had that I’ve seen where it says material, where there’s a material failure of a valve or something. So more often than not it’s folks who aren’t applying correctly the six watchstanding principles,” Le said. Megan Eckstein is a staff writer for USNI News. She previously covered Congress for Defense Daily and the U.S. surface navy and U.S. amphibious operations as an associate editor for Inside the Navy.